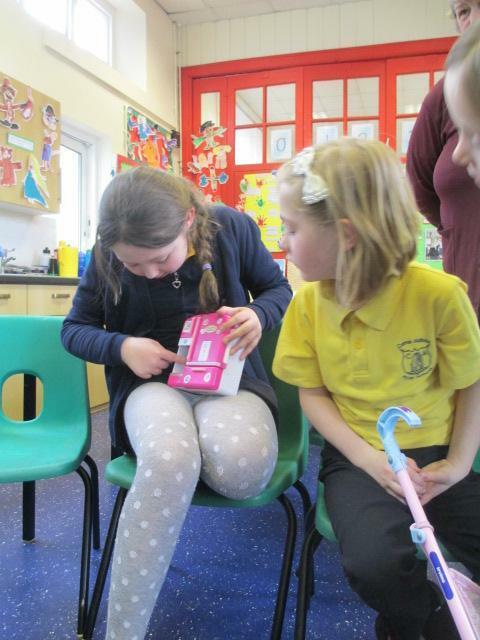 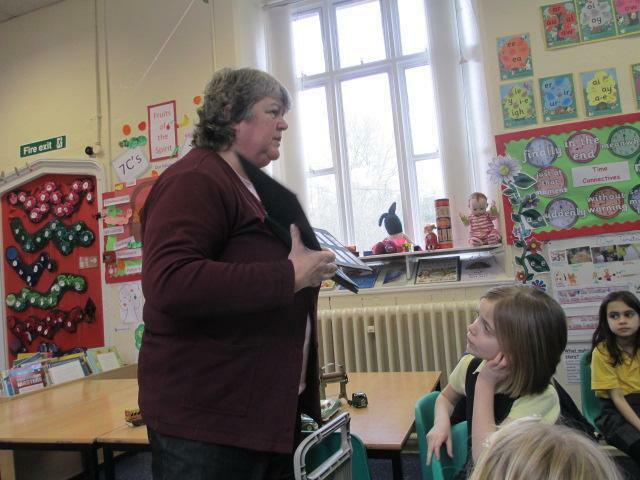 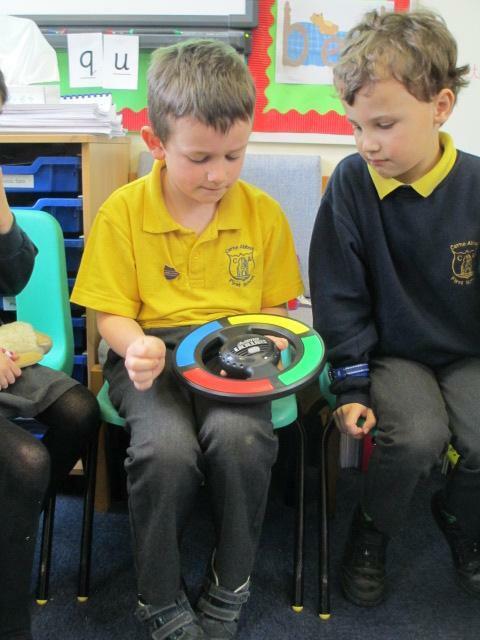 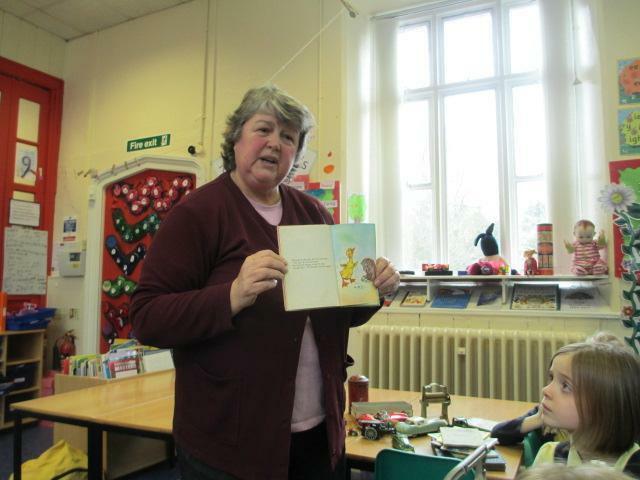 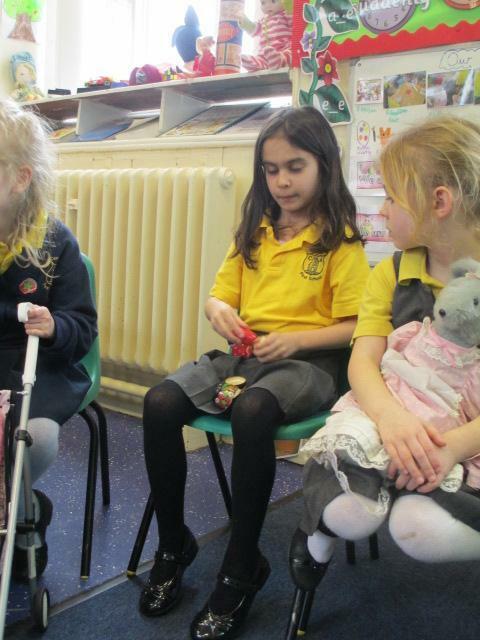 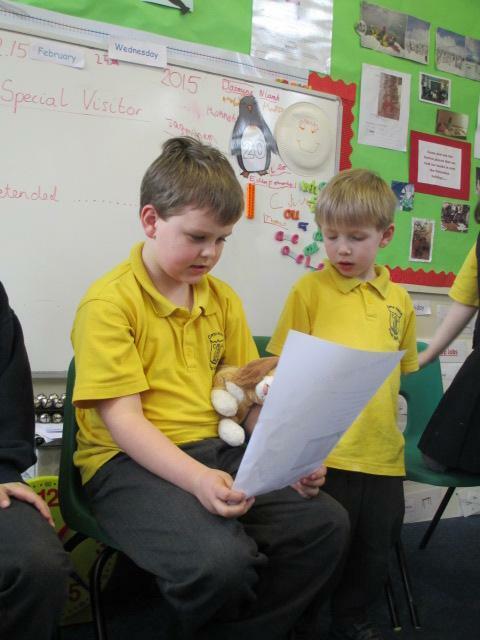 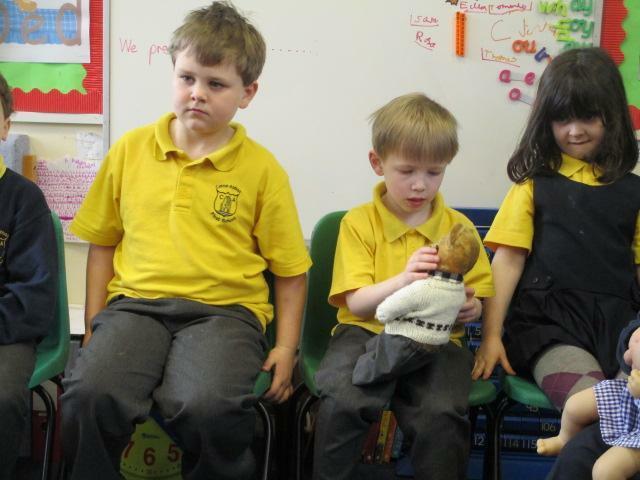 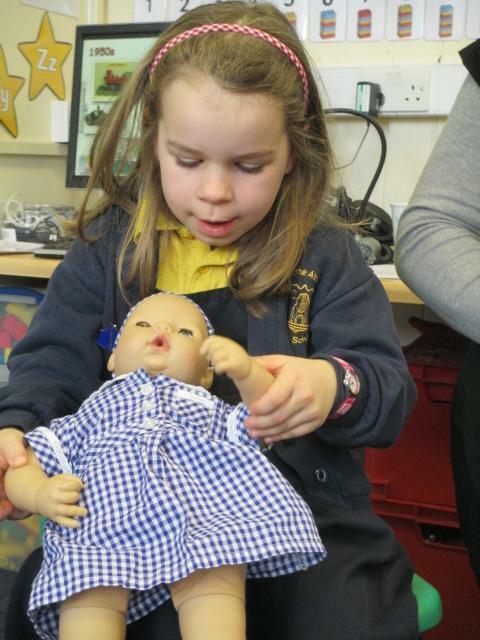 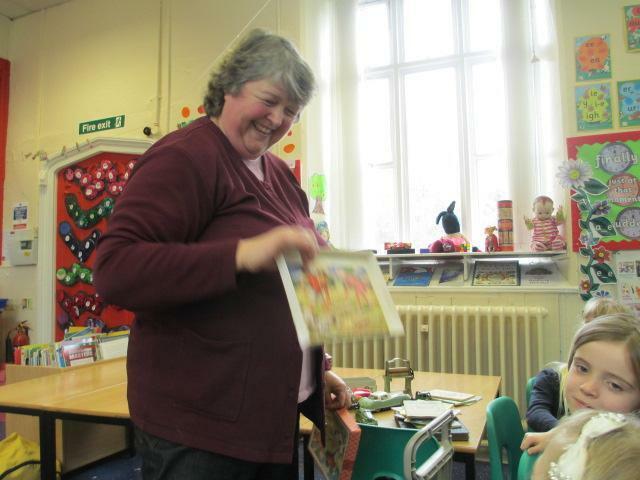 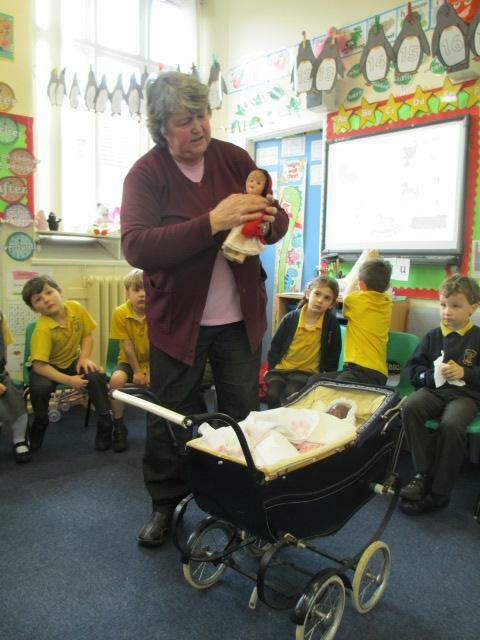 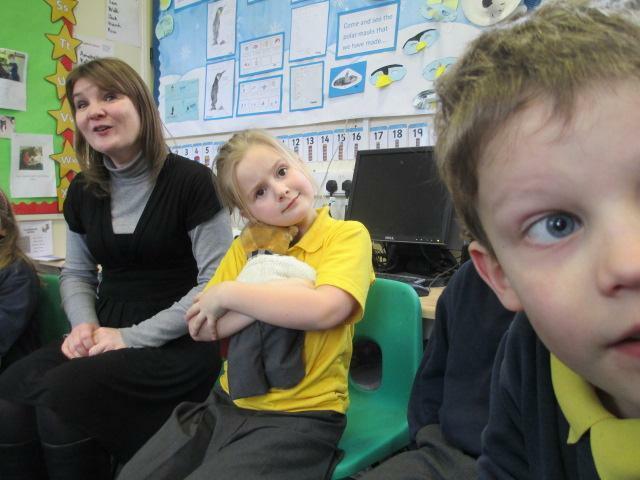 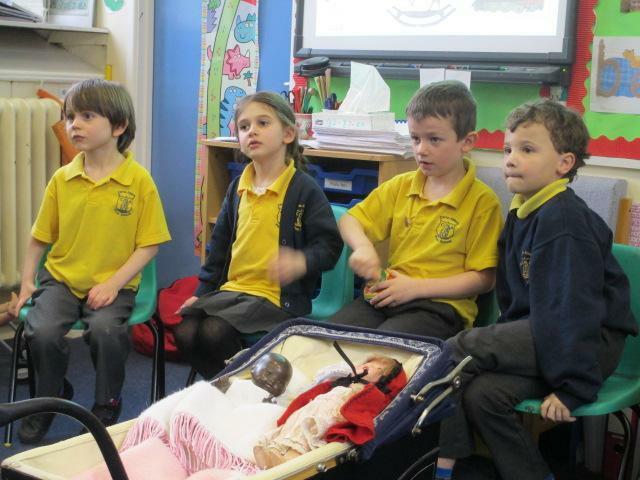 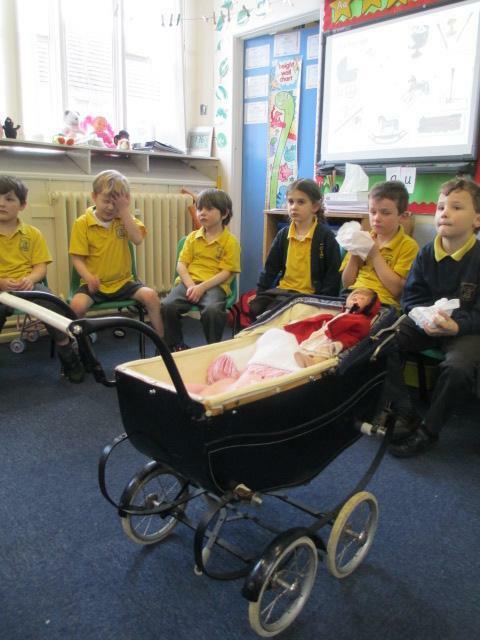 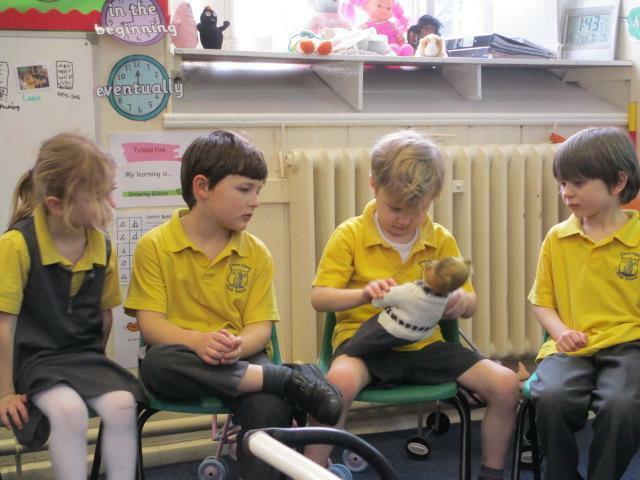 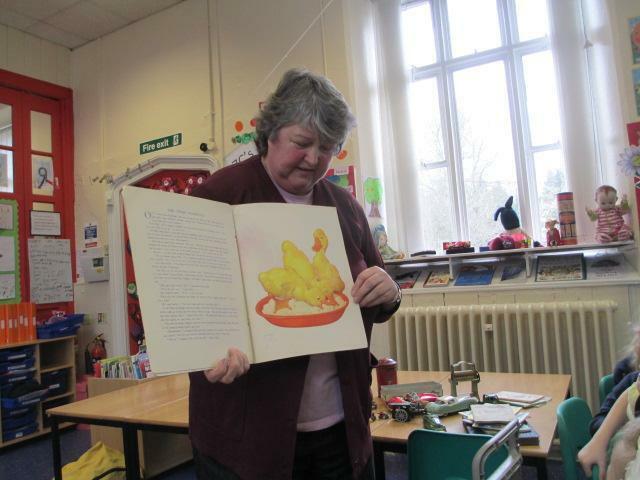 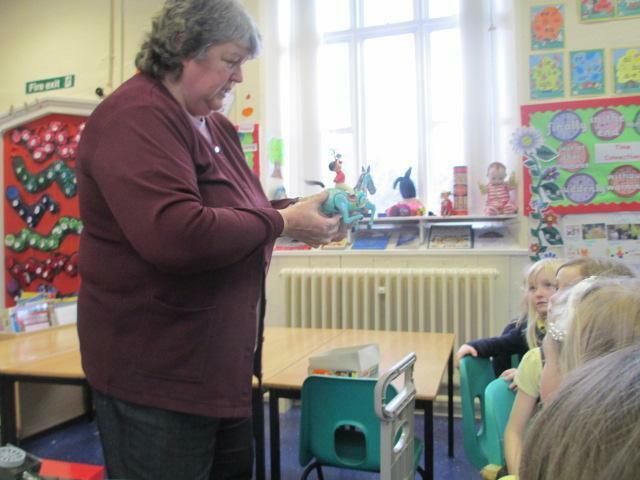 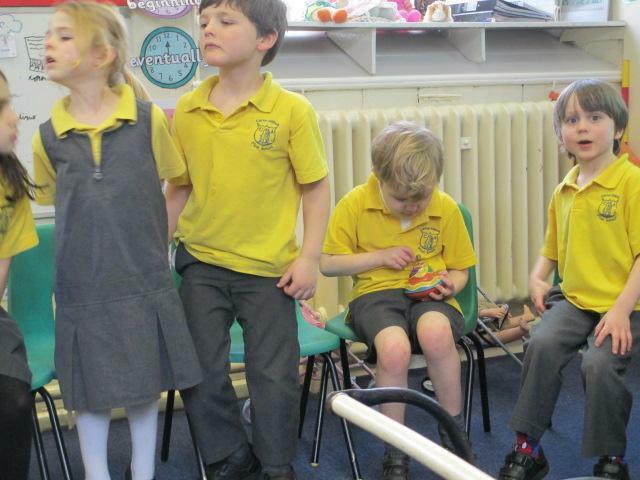 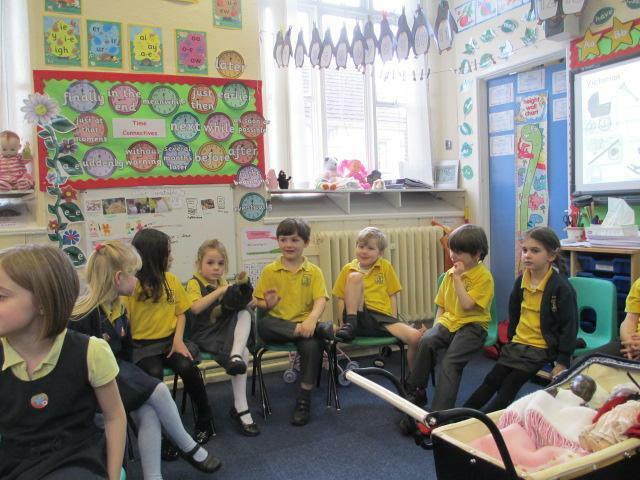 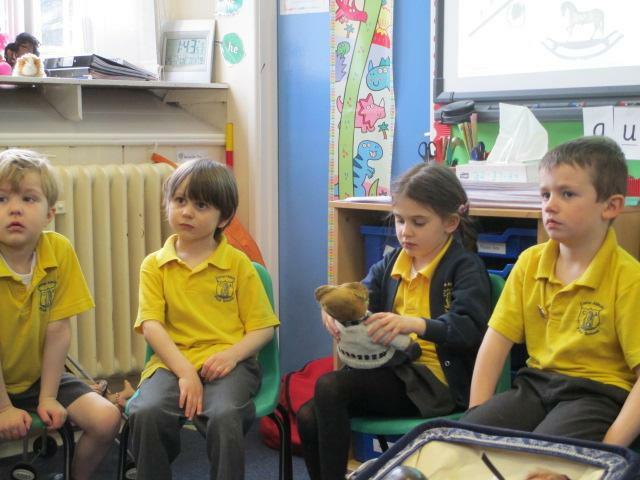 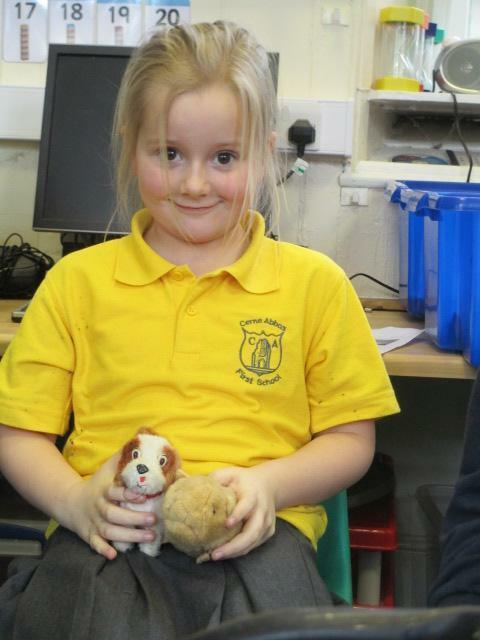 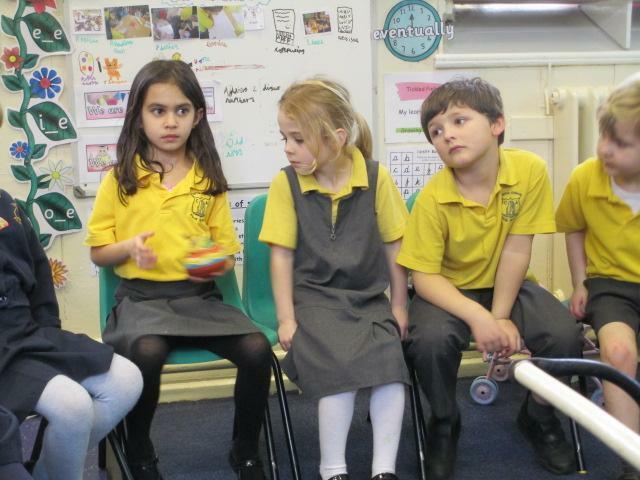 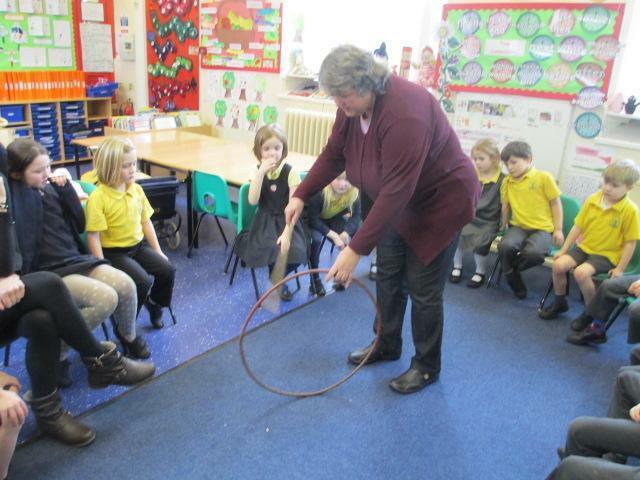 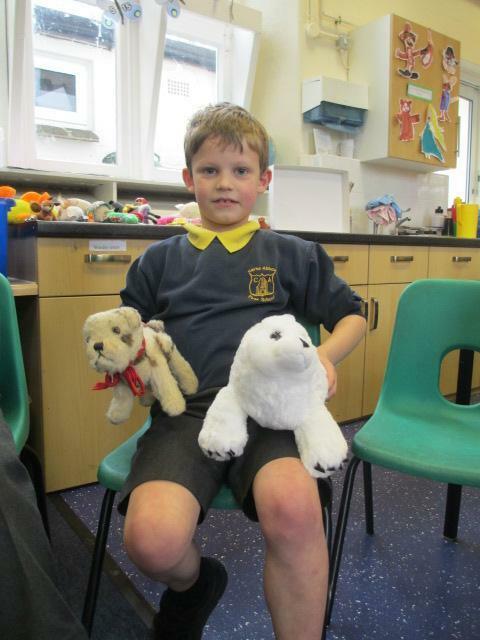 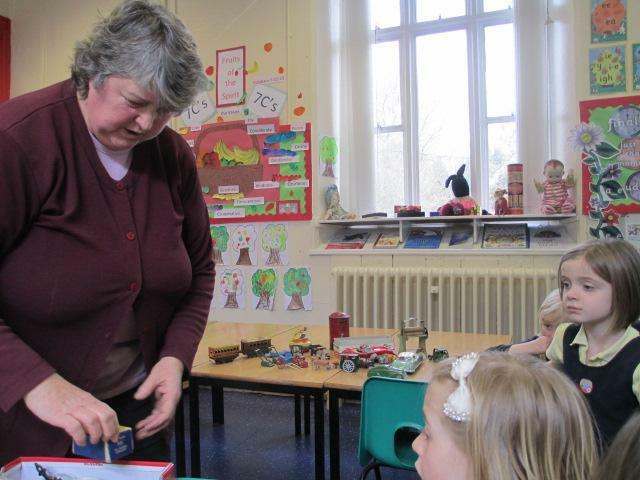 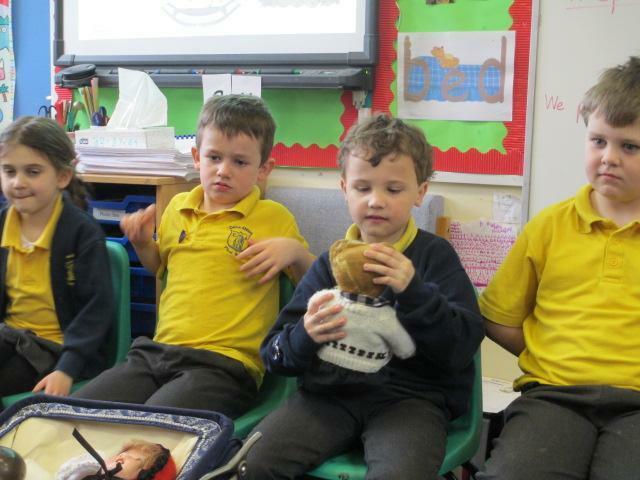 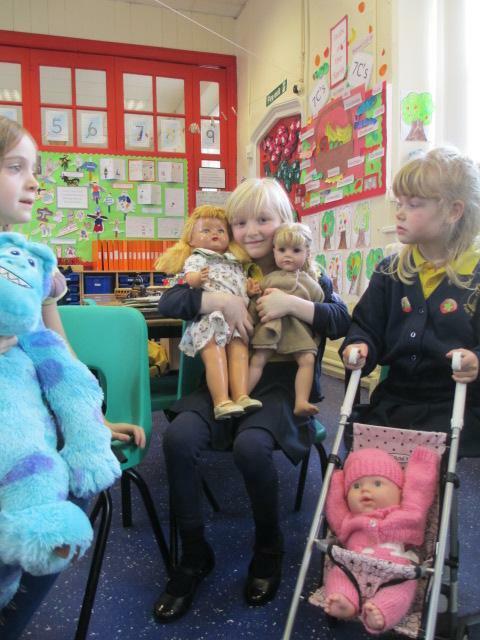 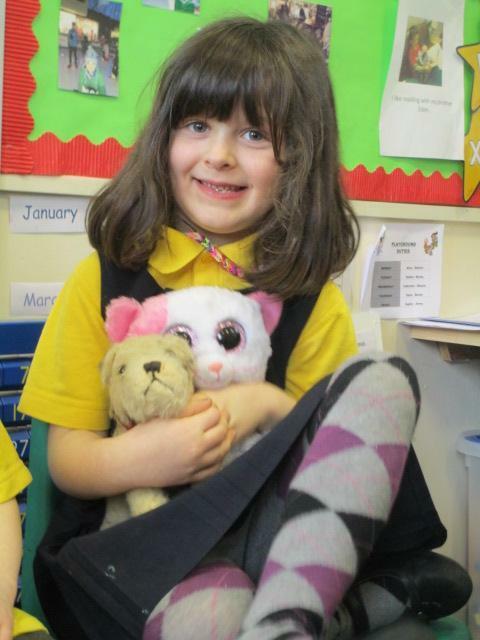 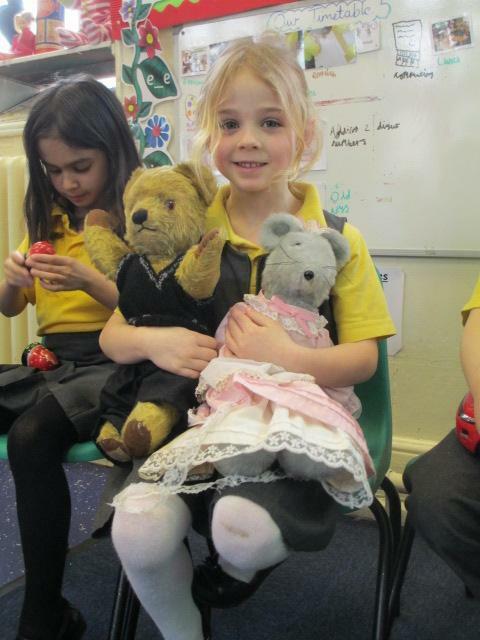 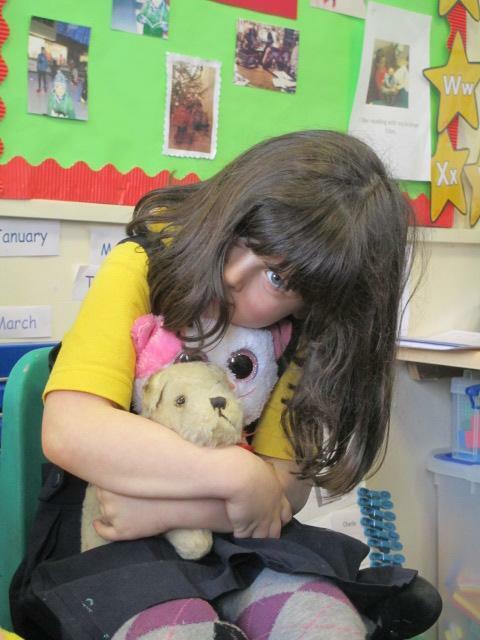 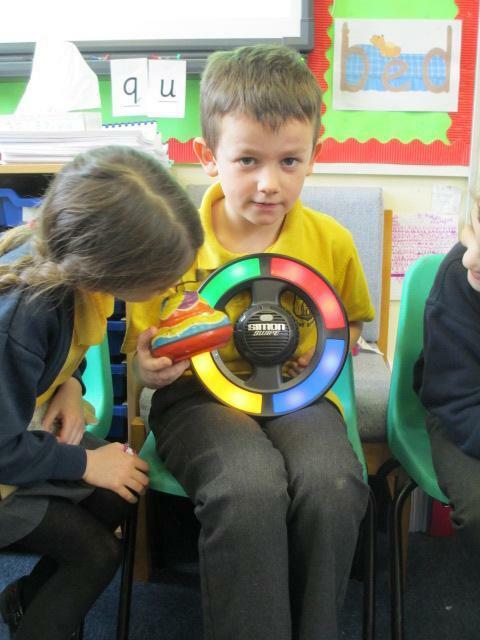 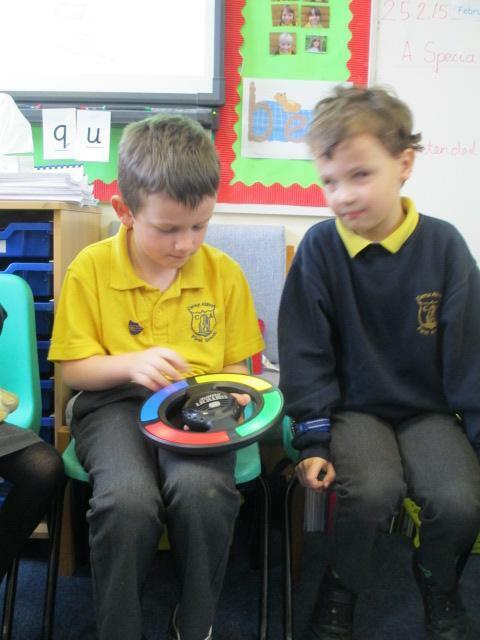 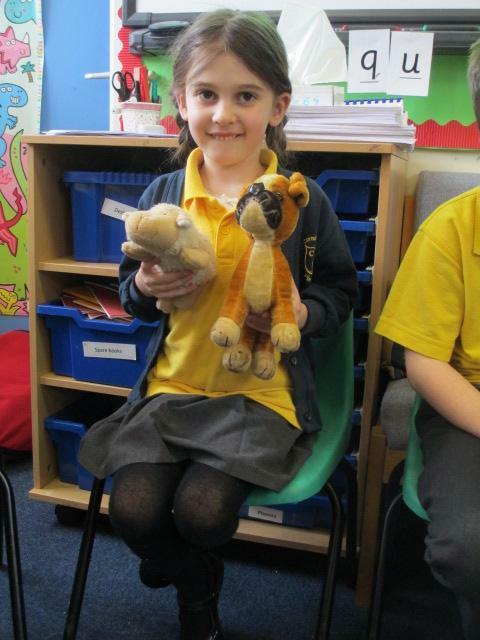 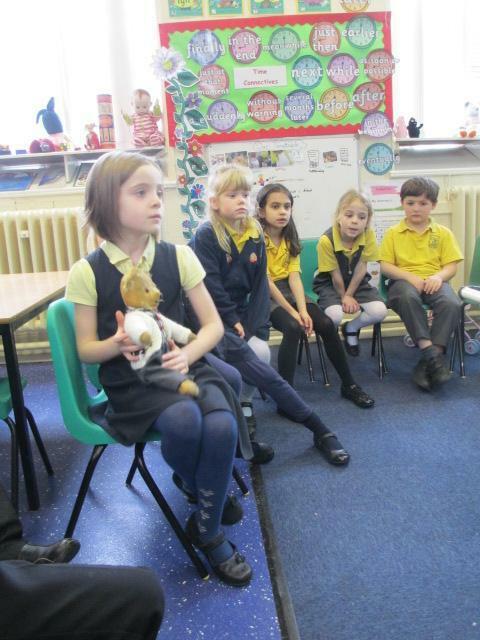 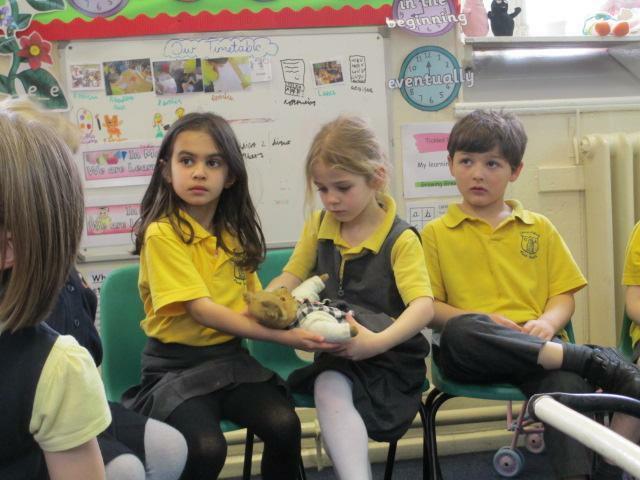 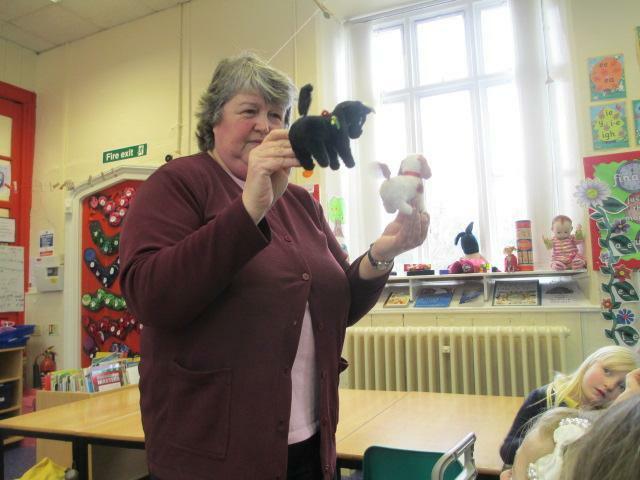 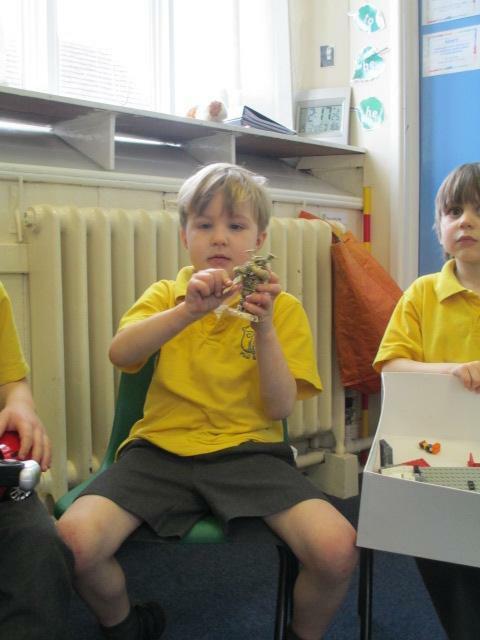 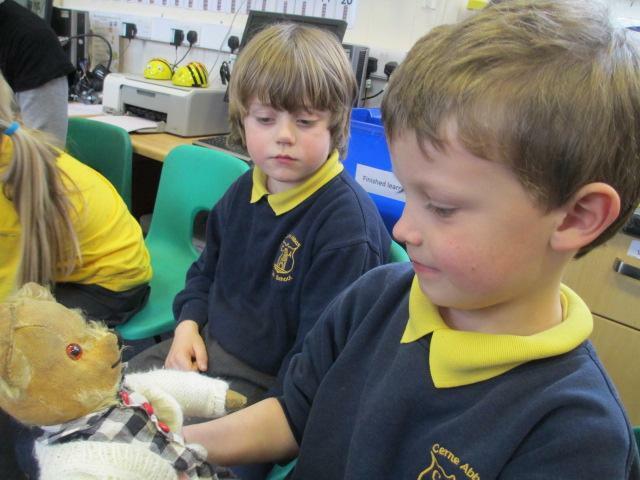 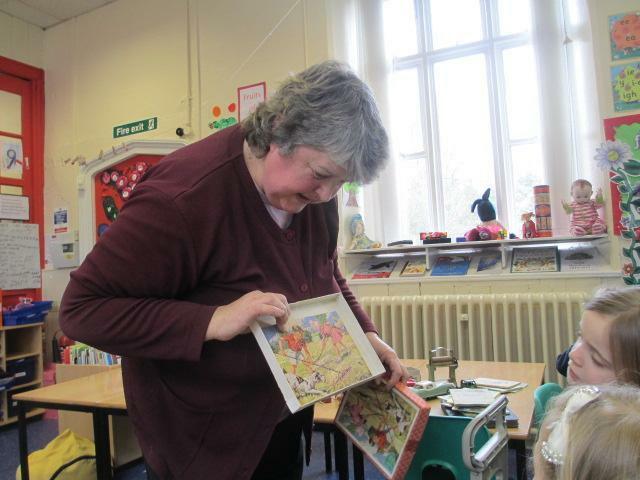 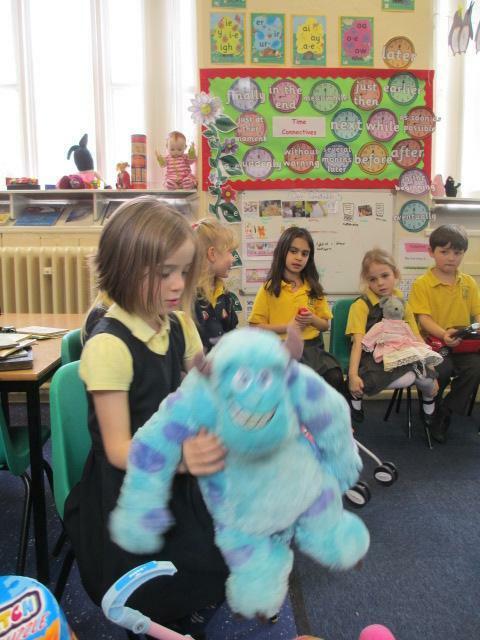 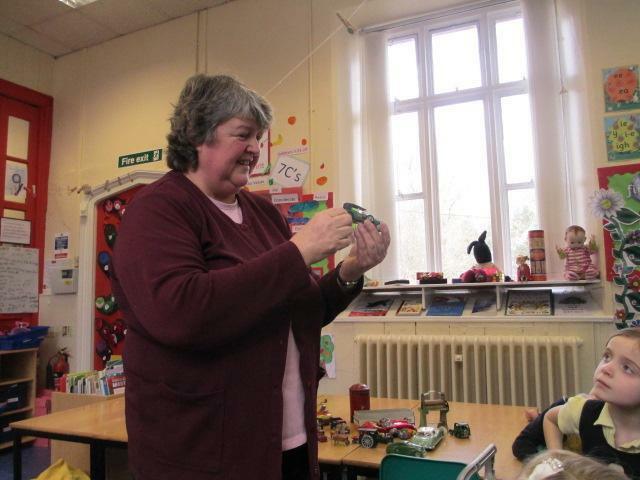 We had great fun this week when Katie's Nan came to visit us with her old toys. 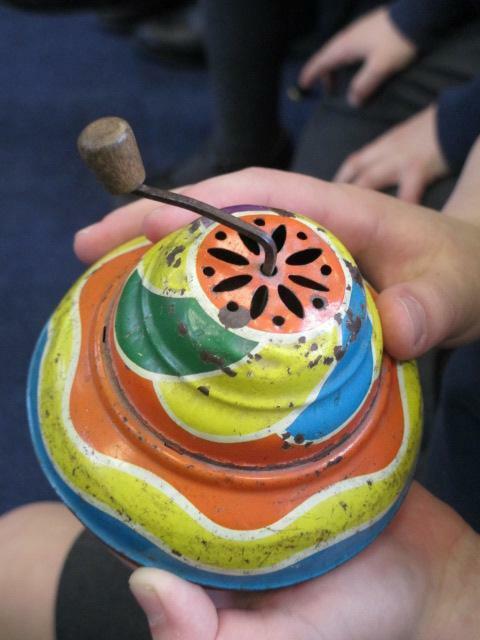 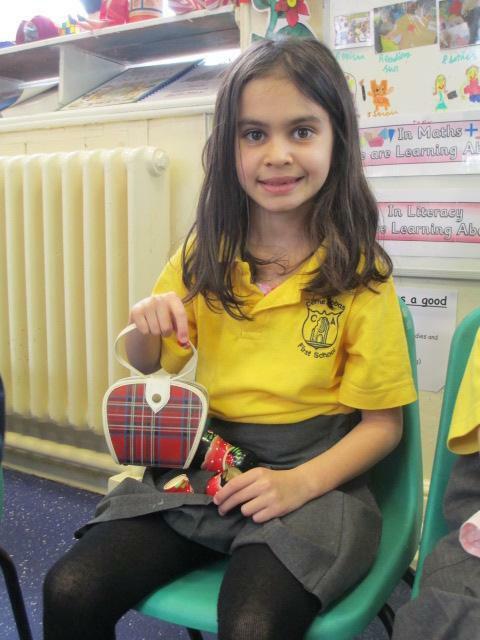 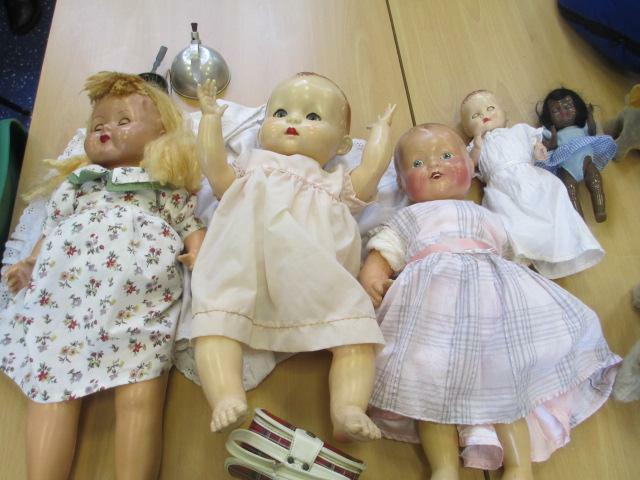 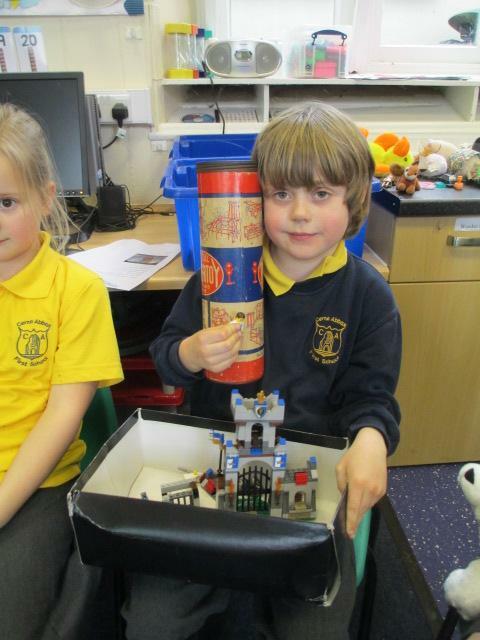 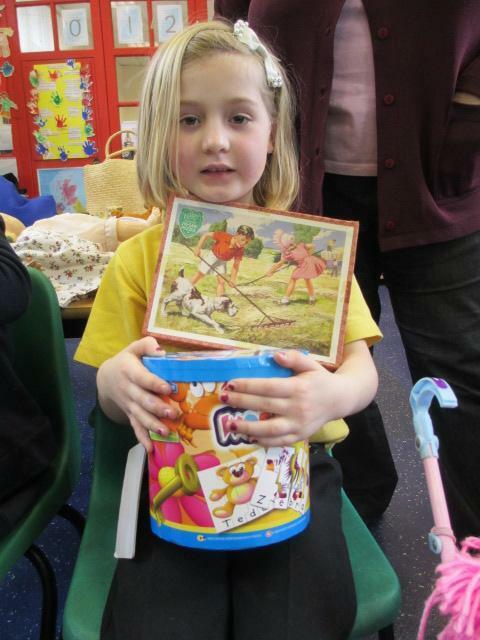 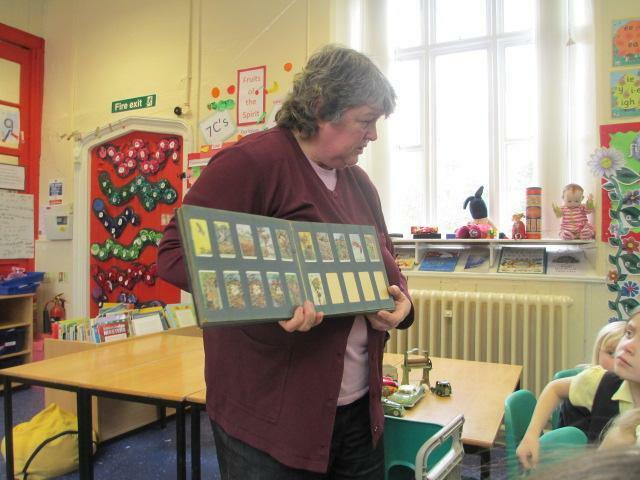 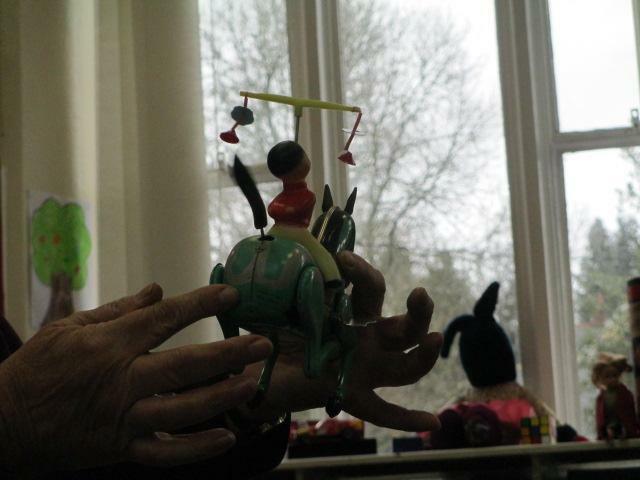 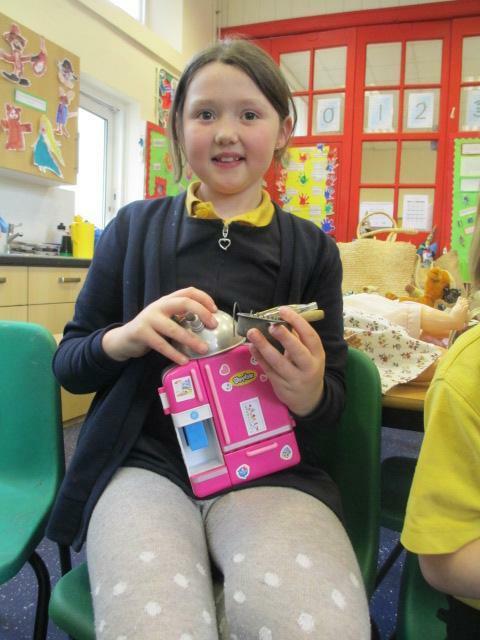 She showed us toys that dated right back to the Victorian times. 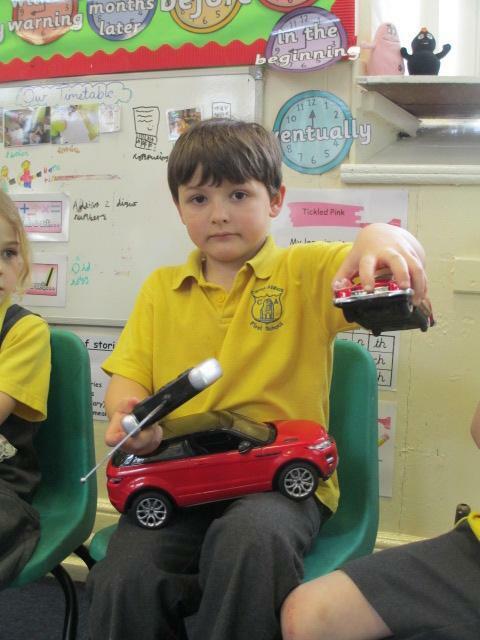 We were allowed to hold some of them and we talked about what they were made out of and how this differed from what materials toys are made out of today. 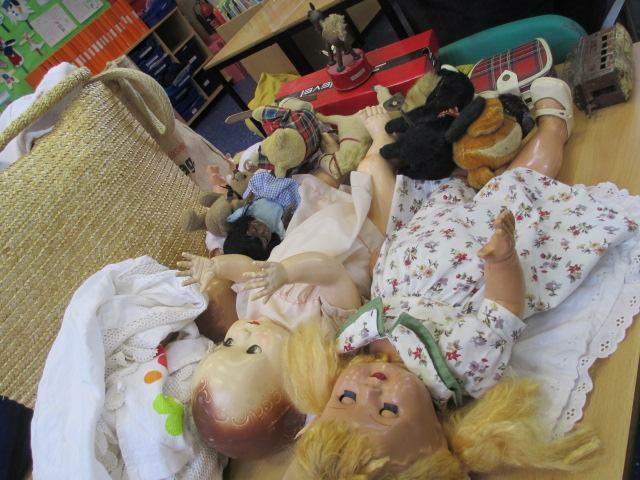 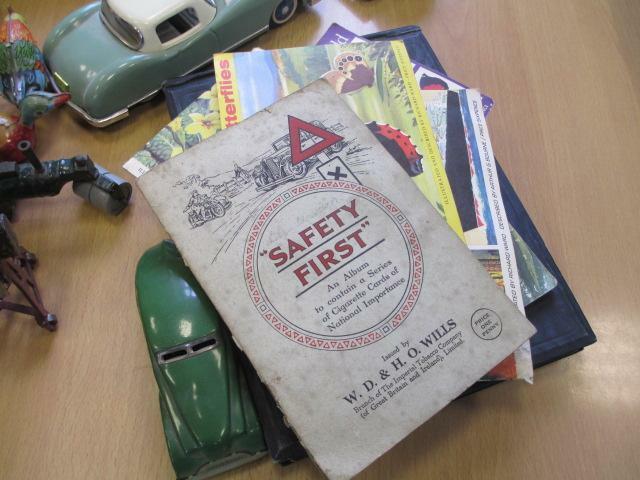 It was interesting to learn how fragile some of the old toys are and quite dangerous compared to our toys. 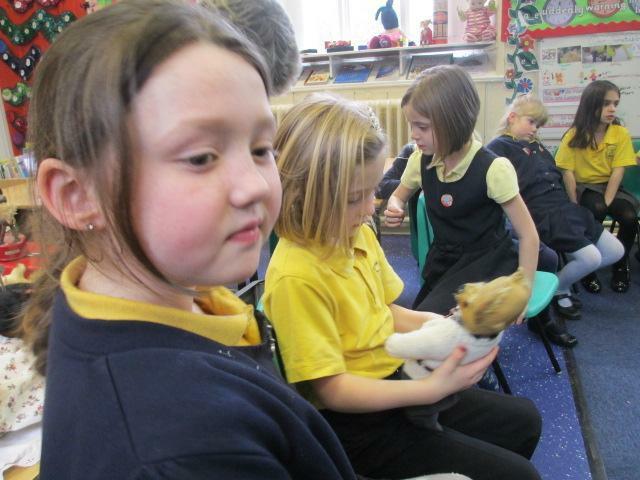 Some had quite spikey bits on and were hard or sometimes scratchy to touch. 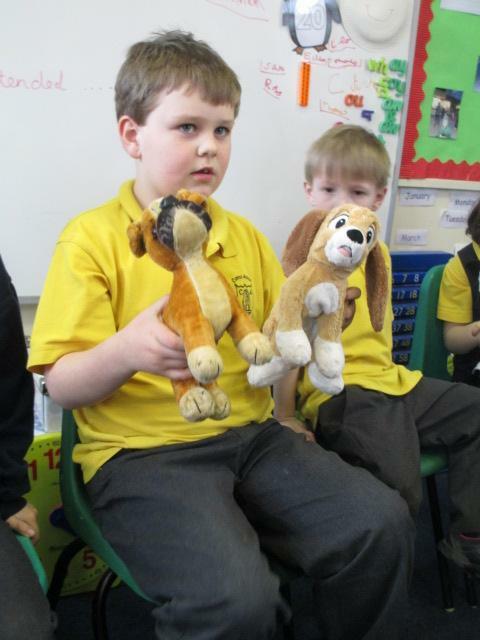 We showed each other our favourite (modern) toys and we found toys from Katie's Nan that were similar to ours. 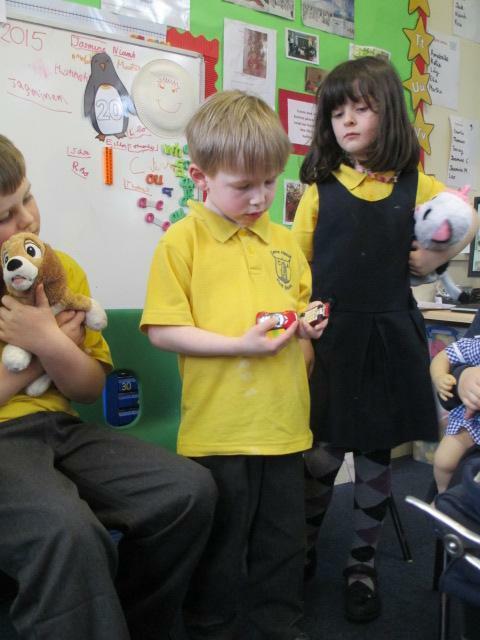 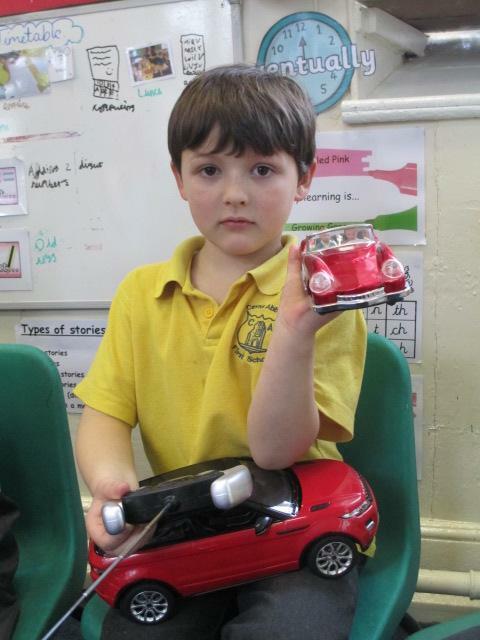 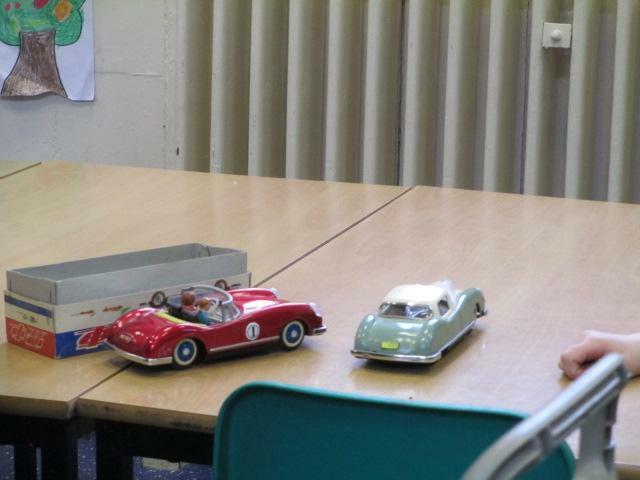 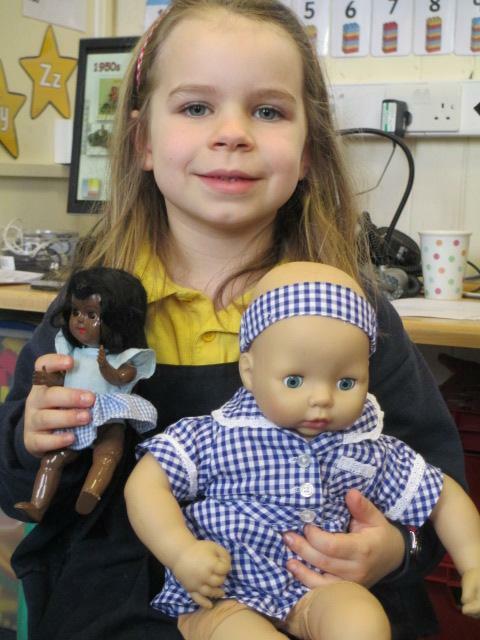 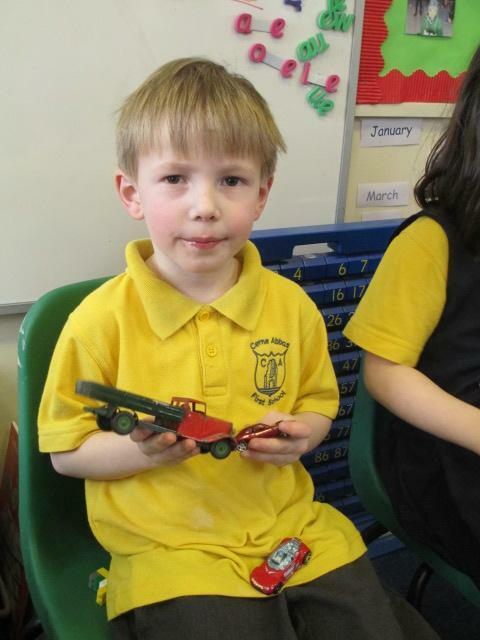 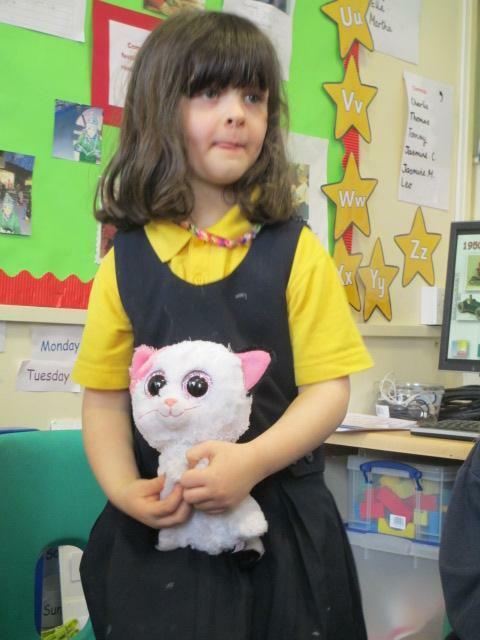 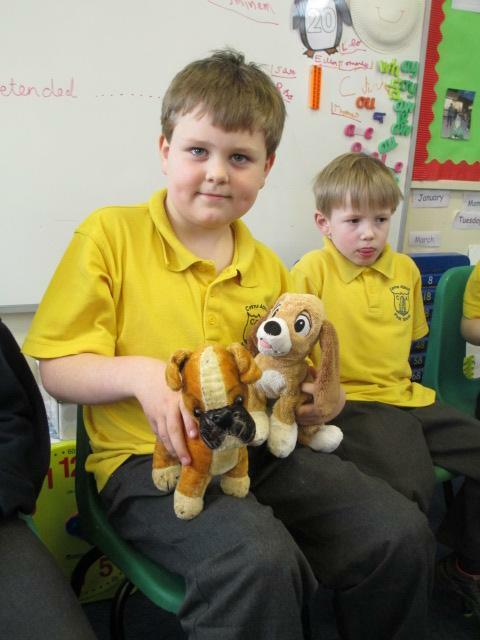 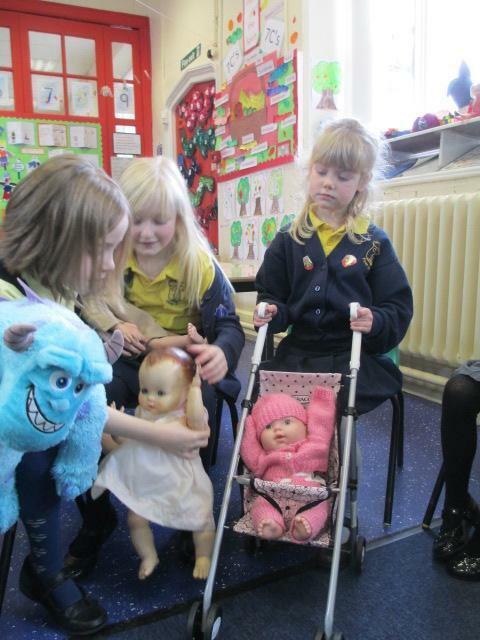 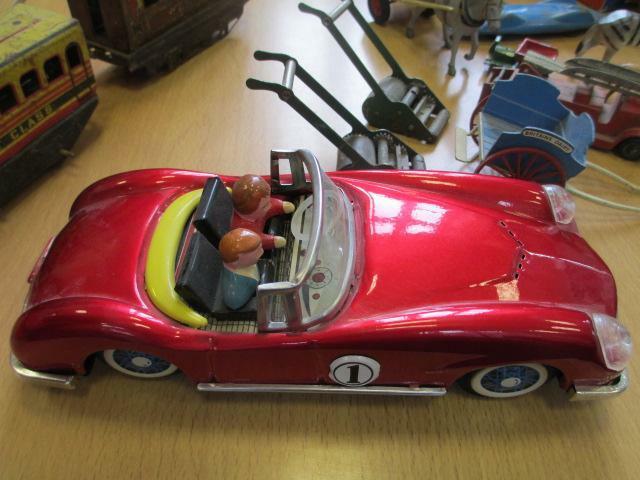 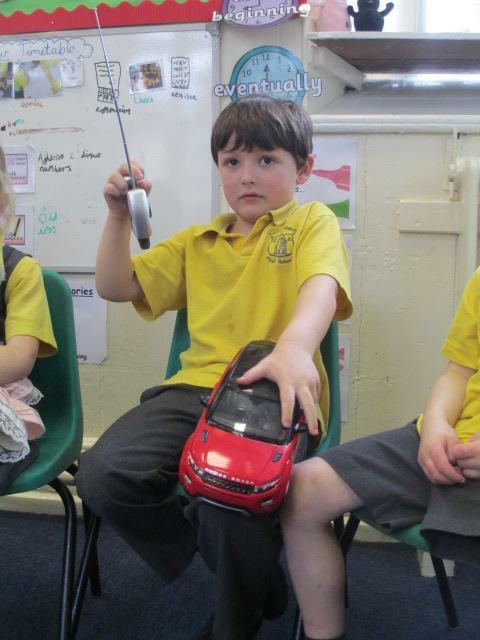 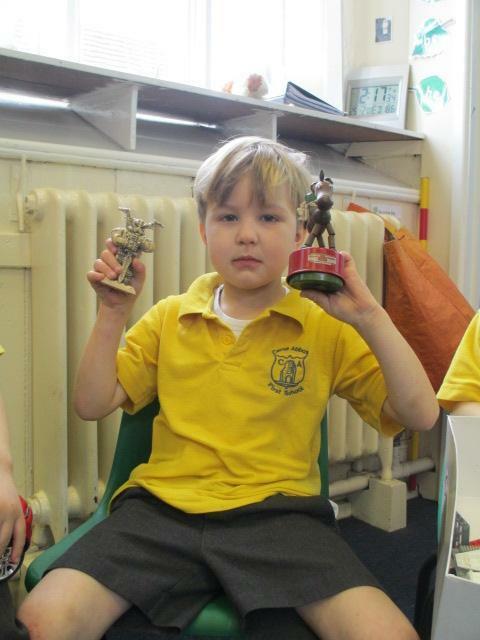 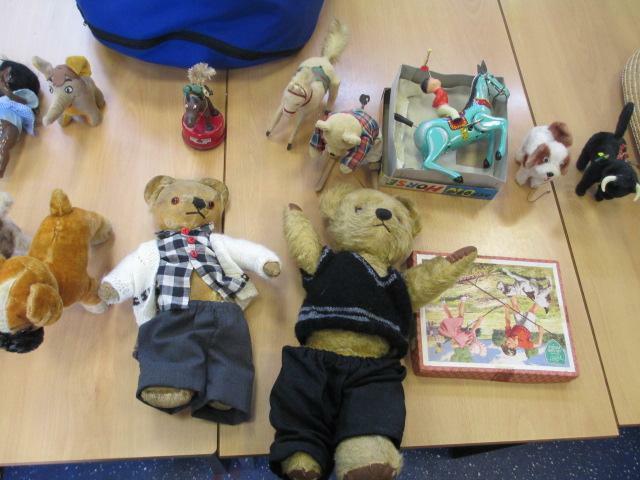 Thank you so much to Marilyn (Katie's Nan) for taking the time to share her many toys with us. 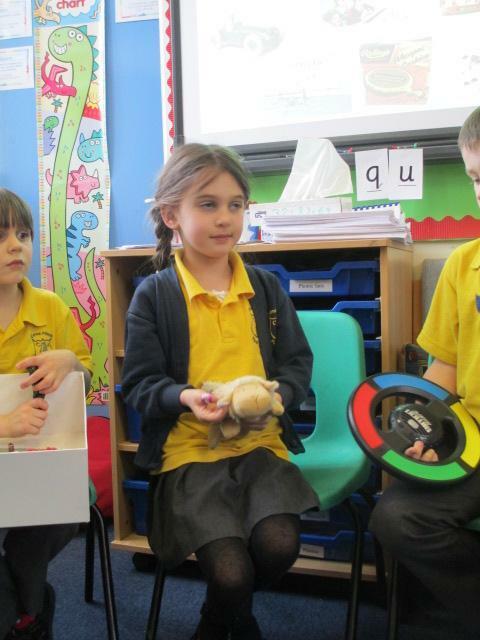 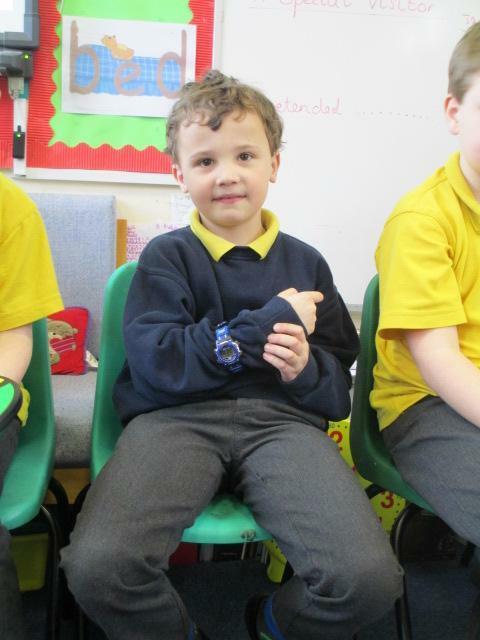 It has inspired us to find out more about the materials they were made with and look at how they have changed through time.